Faculty, Staff & Administration can enter the wellbeing wheel from 10:00 am until noon. Students can enter the wheel from noon until 1:30 pm. Bring your smartphone and headphones so that you can listen to audio as you move through the wellbeing wheel. Prizes given to the first 250 people who enter the wheel on Feb. 7th. 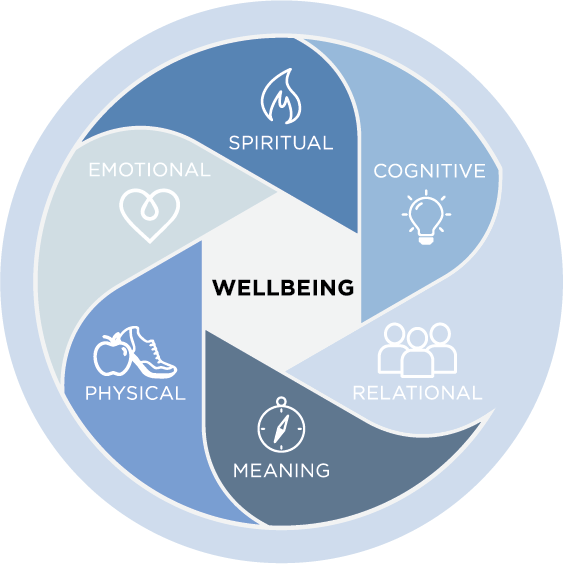 On February 7th, enter the wellbeing wheel and discover the six aspects of life that profoundly influence your wellbeing. Additionally, explore exercises and resources available to help you ​invest in your wellbeing while at Bethel. For 21 DAYS, make choices that could become habits for your wellbeing. This challenge is not a lone ranger event. Form a team. Win as a team. Experience how your wellbeing can be influenced by cultivating new habits for life. ​promotes individual and systemic wellbeing."